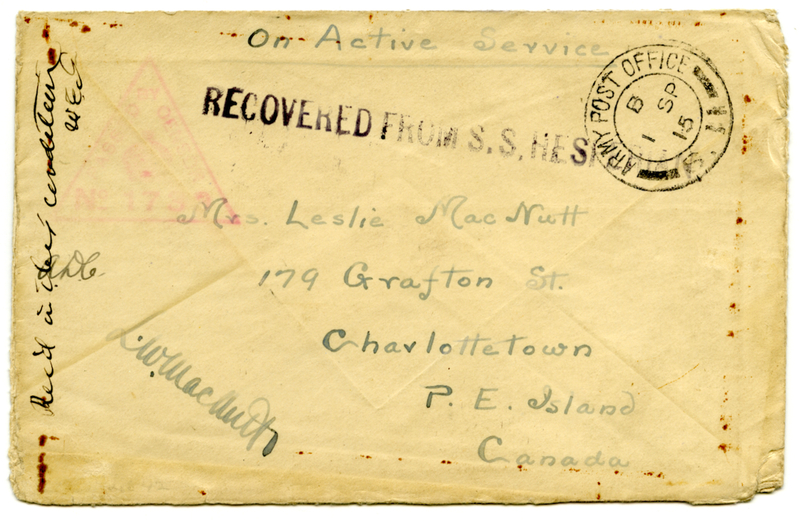 The cachet RECOVERED FROM S.S. HESPERIAN is struck on a cover with manuscript endorsement "On Active Service" which shows a clear impression of the date stamp ARMY POST OFFICE S II B 1 SP 15. 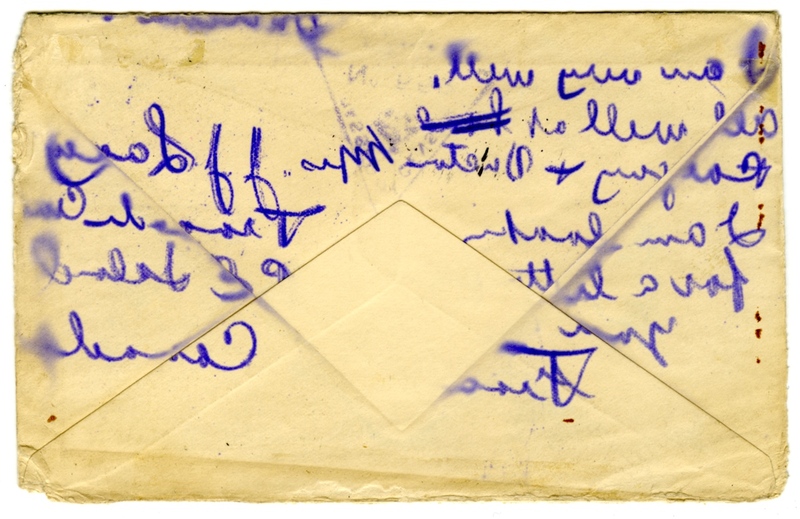 The envelope is addressed to Charlottetown, Prince Edward Island, Canada, but there are no other date stamps or arrival markings beyond a note in manuscript in ink "Rec'd in this condition. W.E.G.". The Allan Line steamer Hesperian, 9,599 tons, left Liverpool on 3rd September, 1915, bound for Montreal. She was torpedoed on 5th September very early in the morning in latitude 50N., longitude 10W. The passengers and part of the crew were landed at Queenstown later in the day. Efforts were made to bring the ship into port, the Captain and 20 men remaining by her. These endeavours were unavailing, and Hesperian sank at 6.47 a.m. next morning 6th September, not far from Queenstown.